The Best Wrestling on the Planet returns to Concord, NC at the Cabarrus Arena on Friday February 9 for HONOR REIGNS SUPREME! All of your favorite Ring of Honor stars will do battle during a night of unforgettable action! Tickets are already moving fast and this event will sell out! Limited tickets remain – do not get locked out! 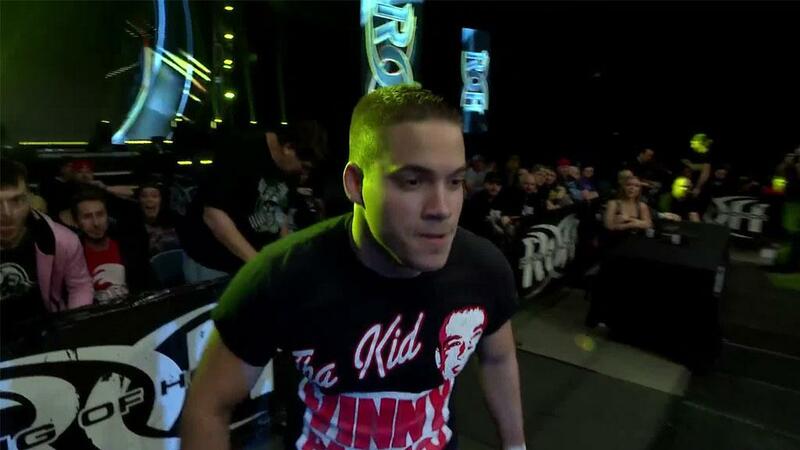 For weeks, ROH fans have wondered what was on the mind of former ROH World Champion Cody. And in the moment that “The American Nightmare” took to the ring in Philadelphia to tell the world everything he was thinking, Matt Taven interrupted. Taven’s 2017 was the best year of his career with wins over several former world champions, but the arrogance and disrespect he has directed toward Cody has been similarly unmatched. These two will captain trios in the main event of Honor Reigns Supreme in an attempt to settle the score! Matt Taven has always had a disdain for Bullet Club. It is no secret that he has called them, among other things, Melvins. But Taven’s actions have always matched his words, particularly recently as Taven is on one of the hottest streaks of his career with recent wins against Jay Lethal, Will Ospreay, Flip Gordon, and Jay White. In 2018, Taven has called out former World Champion Cody, hoping to add his name to a list of former World Champions that includes Lethal and Adam Cole of men he has defeated. But more importantly, Taven knows that any shot fired and landed on Bullet Club will turn heads all across the wrestling world. For Cody’s part, he is coming off a loss at Final Battle but is trying to recapture his focus heading into 2018. Cody, who meets Taven one-on-one in Nashville, is not coming to his hometown Atlanta alone, enlisting “The Villain” Marty Scurll and Adam Page, two men he found chemistry with in a television bout against SoCal Uncensored. The trio heads to Atlanta to take on Taven and his two Kingdom members “The Best Around” TK O’Ryan and “The Horror King” Vinny Marseglia in a HUGE six-man tag team main event! On paper, Taven, O’Ryan, and Marseglia have a big advantage. The trio were the inaugural ROH World Six-Man Tag Team Champions and were never pinned or submitted as champions. The trio still says they are the rightful holders of the Championships and that they have never received an official rematch for the titles they say they never lost due to what they call a Kingdom Conspiracy. On the opposite side of the ring, Cody, Scurll, and Page look to build on the chemistry found in Philly where they teamed for the first time. All three are undoubtedly skilled singles stars but can they function as well as The Kingdom do as a trio? Also lurking in the background: the recent question marks that have developed around Bullet Club that surfaced at New Year Dash and on the popular web series Being the Elite. 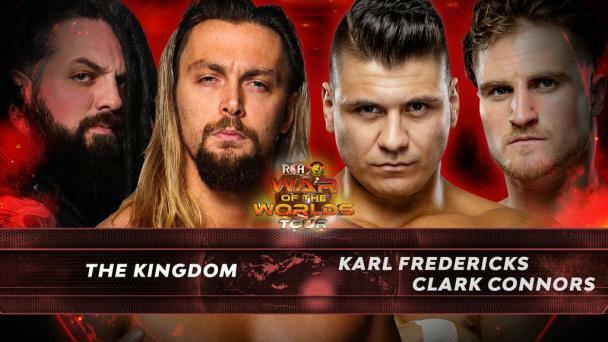 Can The Kingdom pick up a huge six-man win in the main event of Honor Reigns Supreme and put themselves at the front of the pecking order for the ROH World Six-Man Tag Team Titles or will Bullet Club, in Cody’s hometown, pick up the victory? Join us to find out! There is nothing like the hard-hitting, in-your-face action ROH can deliver! Tickets are moving fast and this will sell out! Get your tickets to Honor Reigns Supreme NOW!